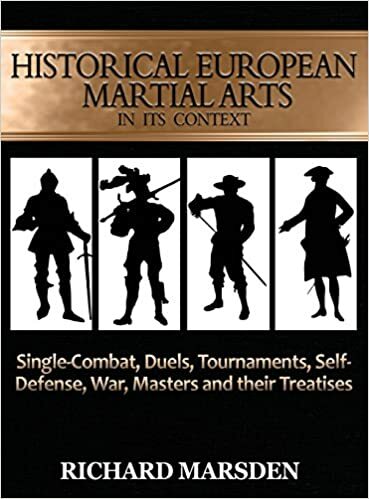 In many historical and martial arts circles of scholars have the opinion that the martial art of the Greeks was fade away and forget it after the fall of Eastern Roman empire from the Ottomans. This is a wrong idea. This is the first of a series of articles, with the purpose to prove the opposite. 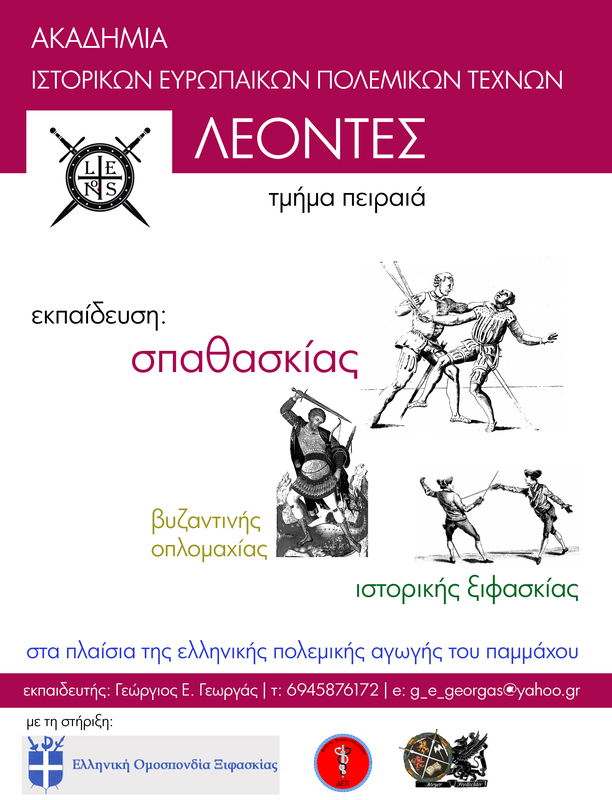 The Greeks have not a martial art school such as other countries had. 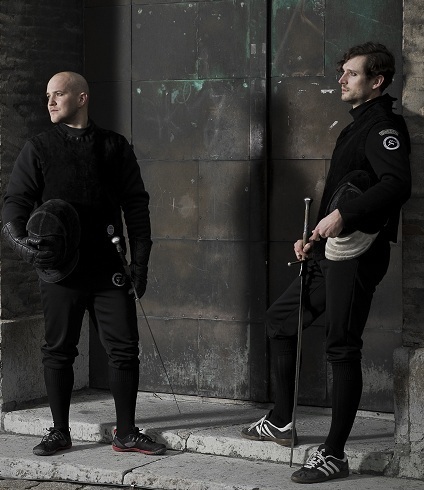 We did not have schools such as the Italian school of fencing or the German school where the masters wrote their experience in their combat manuals. From the ancient times until the early days the art of war were pass from the leader of the family clan to their heir, or from the leader of a small band of warriors to the initiator or it was learned in the army of the city state at the ancient times or at the army of the empire in medieval time. 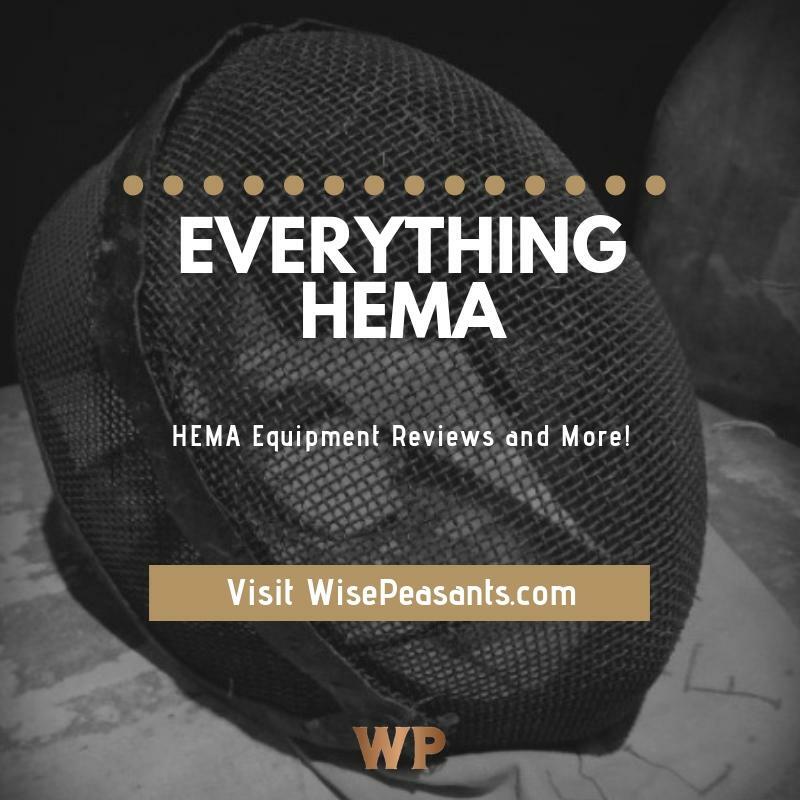 In this article I was not going to speak about the medieval or the ancient art of war. 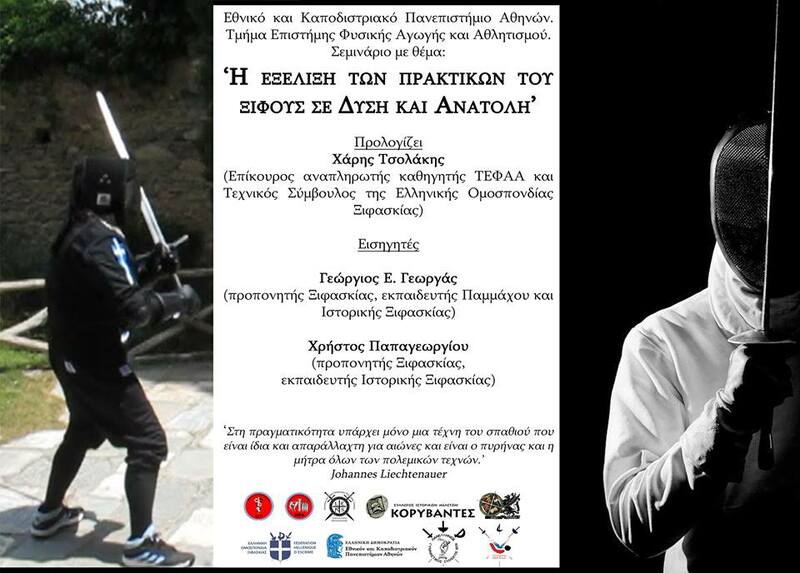 I am going to talk about a hero of the Greek war of independence of 19th century. 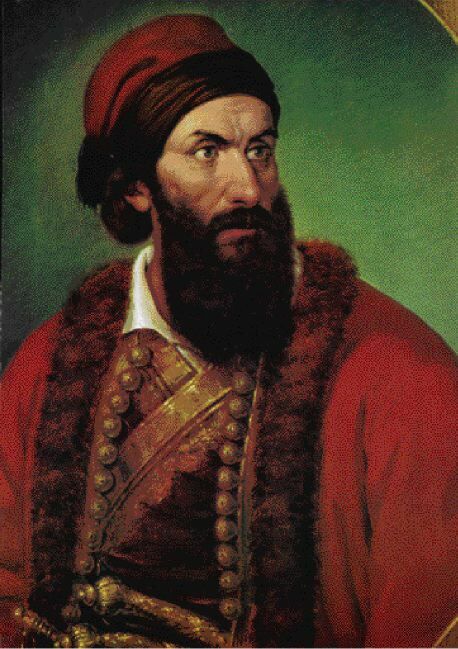 His true name was Nikitas Stamatelopoulos, but the Greeks and the Ottomans call him Nikitaras the Turk eater. Nikitas Stamatelopoulos was born at 1781 (1787 from other bibliography) in the Great Anastasova (Nedousa) in Peloponnesus near Mistra (Sparta) and 25 kilometers to Kalamata. His father was Stamatelos Tourkolekas or Stamatelopoulos and he was in the band of the great warlord Zacharia Barbitsioti and he was kleftis and armatolos. Before I continue to tell you about the life of Nikitas, let me explain what the armatolos and kleftis were. Armatoloi ( in Greek language plural Αρματολοί; singular Armatolos – Αρματολός) were Greek Christian irregular soldiers commissioned by the Sultan to be the Sultan’s authority within the Armatolikia. Armatolikia were created in areas of Greece that had high levels of violence and thievery, or in regions that were difficult for Ottoman authorities to govern due to the inaccessible terrain. 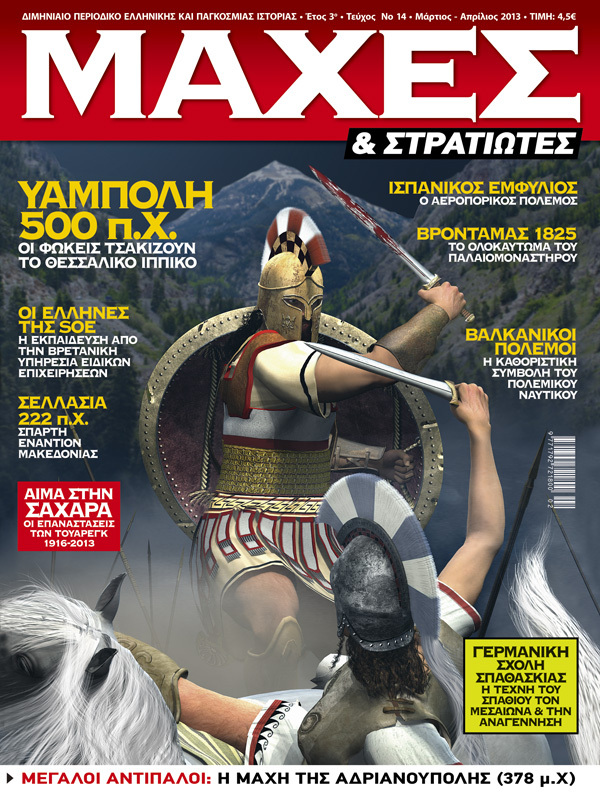 The first armatoliki was established in the mid-15th century before the fall of Eastern Roman Empire in Thessaly. An armatoliki was commanded by a captain. In most cases, the captain would have gained a level of notoriety as a klepht (see in the paragraph of what the klepht is bellow) to force the Ottomans to give him the amnesty and privilege that came with an armatoliki. The captain’s assistant named protopalikaro (much like lieutenant). The armatoloi were organized based on a feudal system under which military/police units maintained their duties in exchange for titles of land. The Ottomans used this war bands as peace-keepers in territories near difficult terrain. During the 18th century, there were around seventeen armatolikia. 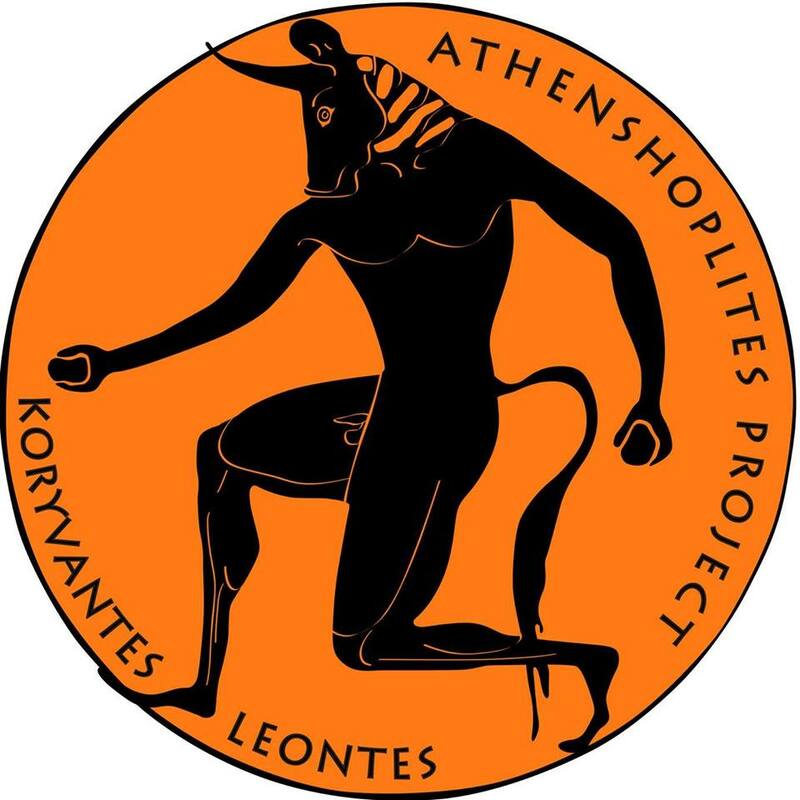 Ten of them were located in Thessaly and the eastern regions of Central Greece, four of them in Epirus, Acarnania, and Aetolia, and three in Macedonia. The armatoloi would train with their weapons on a daily basis except Sunday. Their main weapon was the kariofili, a type of fire gun. They were also capable in the art of ambushing and mobility, and the art of the sword and wrestling. Their tactics were based in guerrilla war and many times they fought in night times. 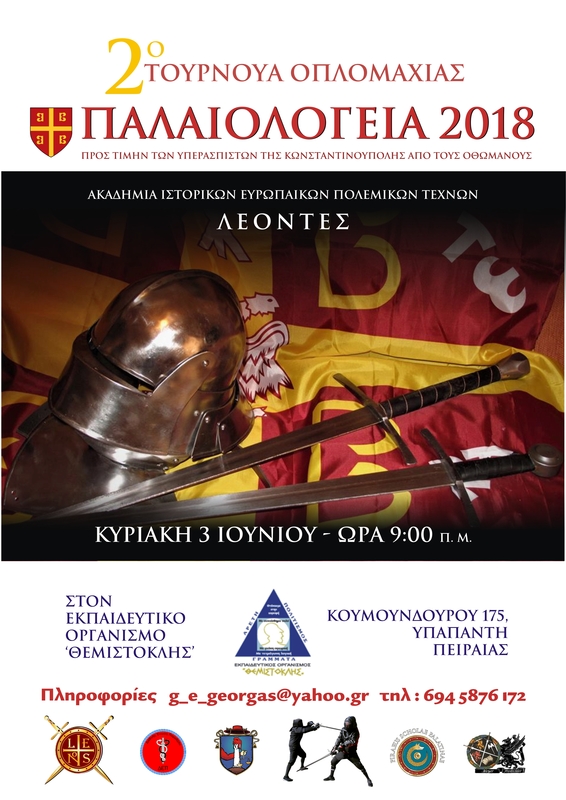 But all of those war art was almost ancient and come back from the Byzantine times with the war tactics of Acrites (In future article I am going to speak about them), while 400 years ago the armatoloi had other name and they called ‘Stratioti’ and they fought in Veneto-Ottoman war under the flag of Saint Mark (In future article I am going to speak about them). Klephts (in Greek language: κλέφτης, pl. 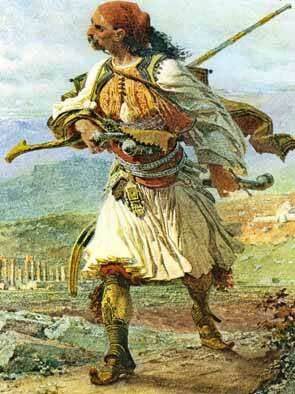 κλέφτες – kleftis, kleftes, which means “thief” – and maybe originally meant just ‘brigand’ or ‘bandit’) were highwaymen, with strong anti-Ottoman spirit, and warlike mountain-folk who lived in the countryside when Greece was a part of the Ottoman Empire. They were the descendants of Greeks (Byzantines) who retreated into the mountains during the fifteenth century in order to avoid Ottoman oppression and they lived in caves, forests or at the mountains. 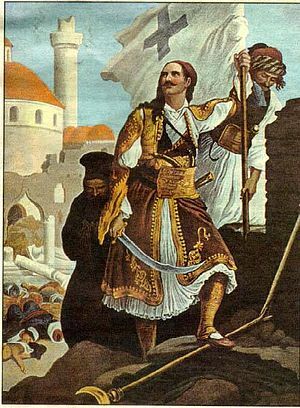 They carried on a continuous war against Ottoman rule and remained active as brigands and never surrender until the nineteenth century after the construction of the kingdom of Greece. After the fall of Constantinople( the capital of Eastern Roman Empire) in 1453 and then Mistra in the Despotate of the Morea, the majority of the plains of Greece fell entirely into the hands of the Ottoman Empire. The only territories that did not fall under Ottoman rule were the mountain ranges (populated by Greeks and inaccessible to the Ottomans), and many islands and coastal possessions under the control of the Republic of Venice. Ottoman lands were divided up into pashaliks. Pashaliks were further sub-divided into sanjaks which were often divided into feudal chifliks (in Turkish language: çiftlik (farm)). Any surviving Greek troops, whether regular Byzantine forces, local militia, or mercenaries had either to join the Ottoman army, but they have to convert to Islam to get high position in the Ottoman army. Some Greeks convert but many Greeks wishing to preserve their Greek identity, the Orthodox Christian religion, and the independence so they chose the difficult but liberated life of a bandit. These bandit groups soon found their ranks swelled with impoverished and/or adventurous peasants, societal outcasts, and escaped criminals. 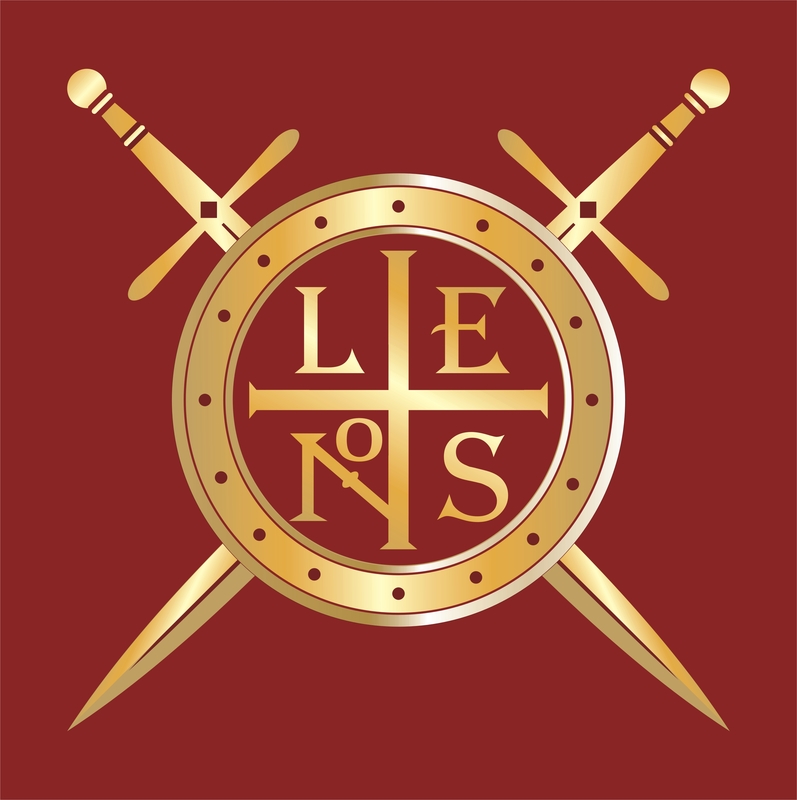 Other Greeks found shelter and new opportunities serve the republic of Venice as mercenaries. Klephts raided travelers and isolated settlements and lived in the rugged mountains and back country. Most klephtic bands participated in some form in the Greek War of Independence. During the Greek War of Independence, the klephts, along with the armatoloi, formed the nucleus of the Greek fighting forces, and played a prominent part throughout its duration. Their hierarchy, their war tactics and the use of weapons were the same of the armatoloi, both of them had the same origins, the guerilla war of the Byzanine warriors, the ‘Acrites’. Nikitaras start his career as klepht from the age of 11. He follows his father and met the hard life of klephts. After some years the captain Zacharias make Nikitas one of his bodyguards and training him in the art of wrestling, the art of sword and the use of fire arms that his band or arms use. Also he married Zaharia’s daughter Angelica. At 1805 Nikitas kill a Turk in a duel and he escaped to Zakynthos. At those time Zakynthos was under the Russians. Nikitas join the Russian imperial army with other 5000 Greeks and join the campaign of the Russian imperial army against Napoleon. The campaign was a disaster for the Russians, so Nikitas found himself back to Zakynthos and there he met again with his uncle Theodore Kolokotroni. His uncle and many other captains of the klephts were escaped from the wrath of the Sultan. The Sultan was order his troops to destroy all the klephts of Peloponnesus (In the future I am going to make an article about this). At 1807 the Ionian Islands were under the flag of France. Theodore Kolokotronis and Nikitas go away from Ionian Islands with the help of the Alexander Raftopoulos and they travel to Skiathos Island. In this island were exist a great gathering of war captains. There the captains established the Black Fleet. A fleet of 70 pirate ships and they start to spread the terror at the ports and the navy of Ottoman Empire. This naval war continues for 10 months but the operation stop because the terrible weather conditions of the Aegean Sea. So Nikitas and his uncle found their selves back to Zakynthos. Their family has a friend. His name was Ali Pharmakis and he was an Albanian feudal lord. He was living in the village of Monastiraki at the western Gortinia. The Ottomans were in war with Ali and the army of Vely Pasha was sieging the towers of the Albanian warlord. Ali asks the help of the Kolokotroni family clan. 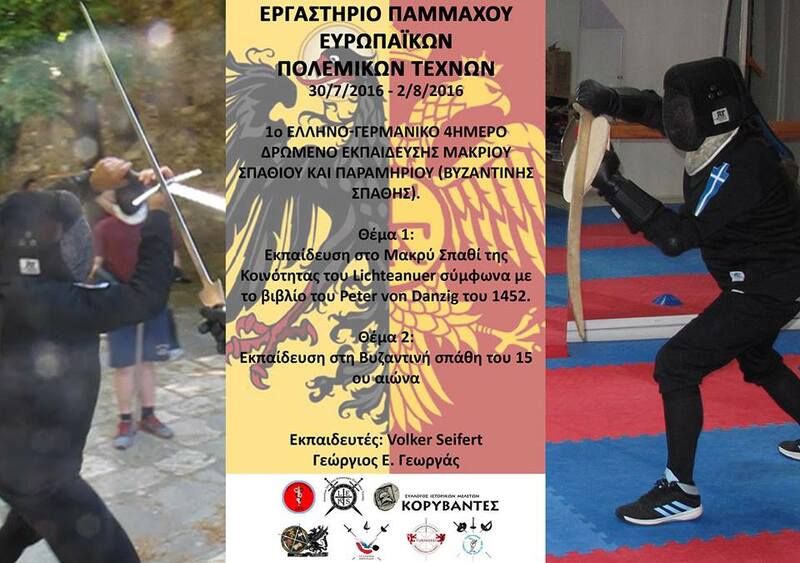 Theodore Kolokotronis answer at once and he travel to Monastiraki village with Nikitas and 12 other Greek warriors. When they arrive there, they observe that around the village the Ottomans were made a war camp and they can not reach the village. So in the night the 14 klephtes hide in shadows and crawl inside the camp of the Ottomans to reach the tower of their Albanian friend. They did it and the Albanians welcome the 14 Greek warriors and together they fought against the army of Vely Pasha. They defend the tower for 2 months against a force of 8000 Ottomans! The Ottomans can not win this battle because the Albanians had many supplies. Finally the forces of Vely Pasha retreat and Nikitas and Theodore were left Monastiraki to come back to Zakynthos. Before they went the 3 warlords try to unite the Greeks and the Albanians against the Ottoman Empire but this plan were stopped because the Ionian Islands change hands and anew geopolitics matter born. The king’s George IV army had come. The Ionian Island was under the command of the British Empire. Nikitas join the British army as officer and take place to the siege of Lefkada fort with British forces against the France army who defend the fort. Two years after the fall of the fort at the April of 1810 he travels to Sicily with a friend of him, the Ireland colonel Richard Church. (Richard Church was military officer of the British army and general in the Greek army during the last stages of the Greek Revolution after 1827 and elected politician in Greece, member of the Greek Parliament in 1843, member of the Greek Senate. King George IV conferred on him a Knight Commander of the Royal Guelphic Order. He lived for the rest of his life in Greece. 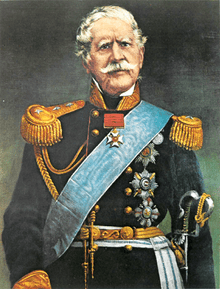 He was created General of the Army -an honorary title- in 1854, and died at Athens on 1873.) In Sicily Nikitas complete his knowledge in military tactics. After 4 years Nikitas learn the death of his father and his brother John. The Ottomans were capturing them and they executed them at Monemvasia. From this time and on Nikitas have one think in his heart to take revenge from the Ottomans for the death of his family members. At 1818 he had made his initiation to the Society of Friends (was a secret 19th-century organization whose purpose was to overthrow the Ottoman rule of Greece and establish an independent Greek state. 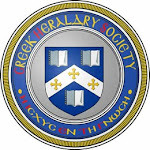 Society members were mainly young Phanariot Greeks from Russia and local chieftains from Greece. One of its leaders was Alexander Ypsilantis. The Society initiated the Greek War of Independence in the spring of 1821. Society of Friends was strongly influenced by Carbonarism and Freemasonry). At the February of 1821 he travels back to his homeland, at Moreas and his legacy began. The rebellion against the ruthless Ottoman Empire had begun. Nikitas was present with many other warlords at the liberation of Kalamata, the first city that was free from the Ottomans. From this day and on, Nikitars recruit new warriors to the rebellion and start his fight against the Turks. At 24 of April 1821 the battle of Valtetsi has begun. For some reason many warriors flee away from their captains because an Ottoman army of 7000 soldiers ordered from the Sultan to destroy the rebels. Nikitas was the only captain that he does not flee and he stays on ground. He has only 200 armatolous against 7000 Turks which have also and artillery. When the bullets of their fire arms finished, Nikitas and his warriors unsheathe their swords and charge against the Ottomans. We have to underline that those warriors of both sides have no armors or shields and the offensive weapons except of their fire arms were the swords and the long knives, some has also spears and wooden clubs. Nikitas and his men won the day. The Turks flee in terror and he presses them until they reach the city of Tripolitsa. As he presses them, he calls them to come back and fought like a man. 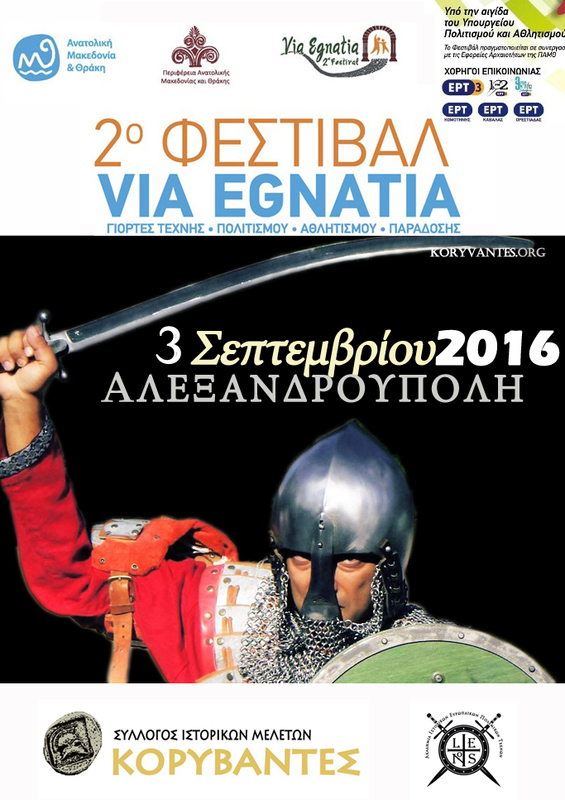 After some weeks the second battle of Valtetsi takes place at 12-13 of May 1821 and the Greeks won the day. After five days of this battle Nikitas was leader of 300 rebels and he fortified in village of Doliana. He and his men stand against the siege of 6000 Ottomans under the command of Kehagia Bey. Again he stand at his ground until reinforces come. When the reinforces start to arrive the battle ground, the Ottomans start a tactical retreat. Nikitas did not lost time, he rally his man and start charge alone against the enemy. Then all of his men that stay alive follow him and they charge against the Turks. His counter attack was so furious that the tactical retreat of Turks changed to flee in panic from the ferocious Greeks and left back all their canons, and their horses. Nikitas call them aloud: ‘Persians come back to fight with us’. It was impressive that he call the Turks as Persians. I have to comment that also Byzantines call the Turks, Persians! After the battle his men gave him the nickname Nikitaras the Turk eater, because he alone with his sword at hand he kill a countless number of Ottomans. His legend was start. After this battle the fall of Tripolitsa was a matter of time. Tripolitsa city was a strategic place and both armies want it, because those who have it can control the all around population. The Ottomans had fortified the city and the rebels siege it. 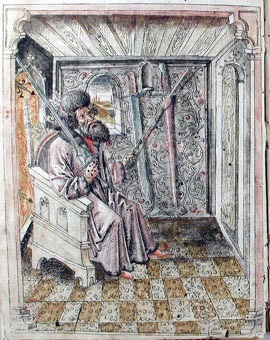 Nikitaras was there too at the last phase of the siege. The Ottomans fought brave but the city was fall. The rebels were ruthless and they kill all the population with out mercy. Women, children, old people were slaughter and the entire city became a great necropolis. It was the revenge of Greeks after the 400 years of ruthless slavery. The foreigners that follows the Greek army (most of them were Americans, Germans and British) and they were Greek friends, dislikes what the Greeks did to the Islamic and Jew population. One of the few captains that did not take part on this slaughter was Nikitaras. Also he tries to stop the other warlords to stop the massacre but he can not. He did not kill prisoners, he did not loot anything from the city and he felt shame. The Sultan’s reaction was not quick. The Sultan has to deal with other rebel. The Ali Pasha of Yannina. After the defeat of the Albanian rebel Ali Pasha the Sultan starts his counter attack against the Greek rebellion. He gathers a huge army under the command of Mahmut Dramali Pasha an Ottoman Vizier, Serdar-ı Ekrem, Pasha and governor (Wali) of Larissa, Drama and the Morea. Mahmud Pasha was born in 1780 in Drama, from where he got his nickname Dramalis. He came from a distinguished family of Albanian origin. 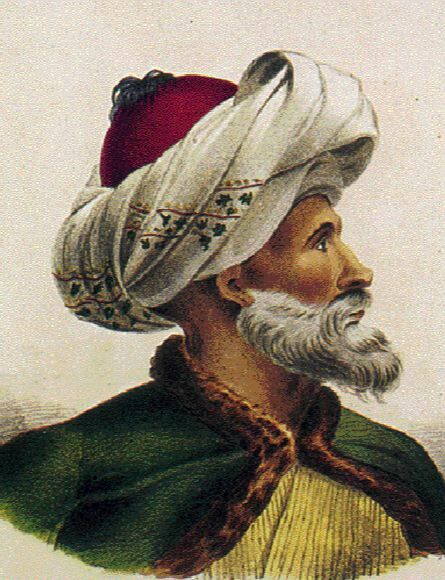 His maternal grandfather was Sultan Ahmed III by his mother ; Zeynep Sultan, thus his paternal grandfather Husain Agha was a Çorbaci of the Janissaries and governor of Kavala, while his father Halil Mehmed Bey was the “Silahtarağası” of Sultan Selim III, after commanded an Albanian regiment in Egypt against Napoleon. Mahmud was raised and educated at the Topkapi Palace of Sultan Selim III at Constantinople. He was the leader of this campaign. He rules 30000 foot soldiers and 6000 cavalry. He left Larissa at June of 1822 and his forces marched unopposed through Boeotia, where they razed Thebes, and Attica. His advance caused a panic among the rebels and they flee away. 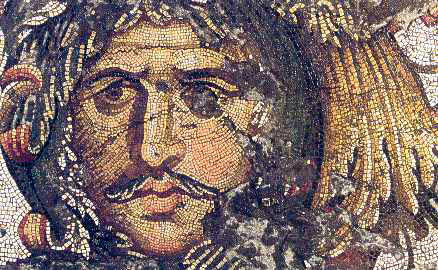 The huge Ottoman army arrived to Peloponnesus and starts to spread terror to the Greeks. With this army he tries to get back the city of Nafplio. At Nafplio a garrison of 700 Greeks under the command of Demetios Ypsilantis defends the city. This was his fault. Dramalis spent a lot time to this siege and gave time to the Greeks to poison the wells and the springs and burn out the fields making the Ottomans have no supplies to feed their huge army. So Dramalis deside to retreat back to Corinthos. He chooses a way that call Dervenakia pass and there was his disaster. 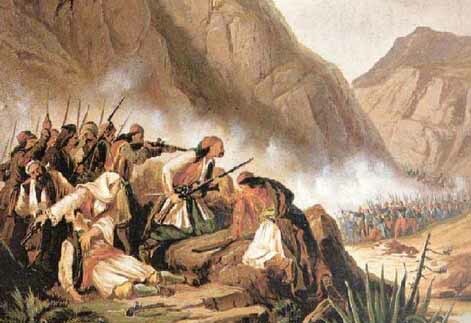 As the Ottoman army retread the Nikitaras and his uncle Theodore Kolokotronis rally the rebels and gather them to Dervenakia pass to wait for the Ottoman army to pass. In the coming battle that called Dervenakia battle, the Greeks used the same tactics that use our accentors, the might Acrites against the Arabs back in the time of Byzantine Empire. The Ottoman troops were well trained, the foot soldiers had new fire arms and new swords, it has cavalry, artillery, mechanical units. The Ottoman army has great morale after their victories, and the soldiers had great discipline. Also the officers were one of the bests that the Ottoman army had. 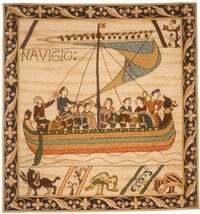 From the other hand the Greeks were roughly recruited from the captains. The rebels gather 8000 fighting men with arch general the Theodore Kolokotroni, soon join the force other 2000 men under Nikitaras, Demetrios Ypsilantis (Demetrios Ypsilantis was a dragoman of the Ottoman Empire, served as an officer in the Imperial Russian Army in Moldavia and was appointed as modern Greece’s first Field Marshal by Ioannis Kapodistrias, a hero of the Greek War of Independence. Ypsilantis was the brother of Alexander Ypsilantis, a leader of the Society of Friends) and Papaphessas ( Papaphlessas was the nickname of George Demetrios Flessas, he was an Orthodox priest, papas in Greek means priest, and he was also took one of the highest position in priesthood. He was archimandrites. He served as Minister of Internal Affairs and Chief of Police in the government of Alexander Mavrocordatos. Papaflessas was killed during the Battle of Maniaki on May 20, 1825, fighting against the forces of Ibrahim Pasha at Maniaki, Messinia ). This army was poor equipped. 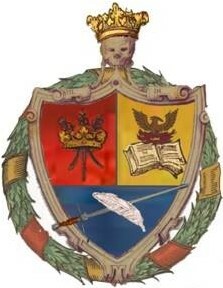 They had wooden clubs, spears, scythes, long knife, some has swords and their fire arms were old. They were not good in offencive actions; they knew how to defend a place and not to conquer a new position. They specialized in guerrilla war; they were irregular and do not follow orders except of their leader of their clan. When they won a battle they did not press their enemy instead they start loot the dead. At the evening of the 26 June the Greeks start a concentrated attack against the tired forces of the Ottoman army (previously the two armies had many conflicts between them). Nikitaras lead the charge against the Turks. The fire arms were silent and the swords were singing. 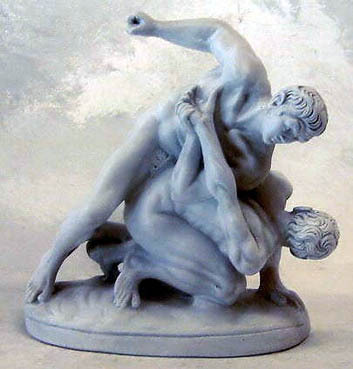 Nikitaras fought with great ferocity. He changes 4 palas type sword because he broke the swords blade from his cuts. In the battle he was very tired from the continues battle many times his companions hear his words said: ‘Holy mother of God give me courage, I slay Turks.’ The Greeks won the day and the Ottomans lost 20000 soldiers and entire army disband, the rebels lost 50 troops and have many injured. Nikitaras had killed a countless number of Ottomans troops and he needs medical assistance because the grip of his sword was stuck in his palm. His palm can not open because he had contended a heavy morph of ankylosis! After the battle he does not loot anything. The other captains observe it and they choose 3 high expensive items and gave to him as gifts. It was a magnificent saddle, a cigarette case, and a very expensive sword. Nikitaras thank them and then the saddle gave it to a friend of him, the cigarette case sent it to his wife with a romantic letter, and the sword sell it and gave the money for the rebellion. Nikitaras take part in many battles. At his necrology refer that he fought in 65 battles and he was injured seriously only once. He was always a frontline fighter and if he must retreat he left the field the last. His weapon of choice was the sword. A German friend of Greeks C.F. Bojons wrote that Nikitaras killed 300 Ottomans in aperiod of six months at the battles. After the war, Nikitaras was jailed with his uncle Kolokotronis as strong opponents of the Bavarian King Otto of Greece. He was also a strong campaigner for the rights of those who fought in the Revolution. Nikitaras was released from prison in 1841, but the period in jail broke his health and he died in 1849 in Piraeus. Nikitaras was a unique warrior of this type but I have to say that many captains and warriors before him had the same training in the weapons. As I wrote before there in no a Greek school of martial arts but all of this captains and warriors learn to fight from their clan members and some had the opportunity to serve in other nation armies. 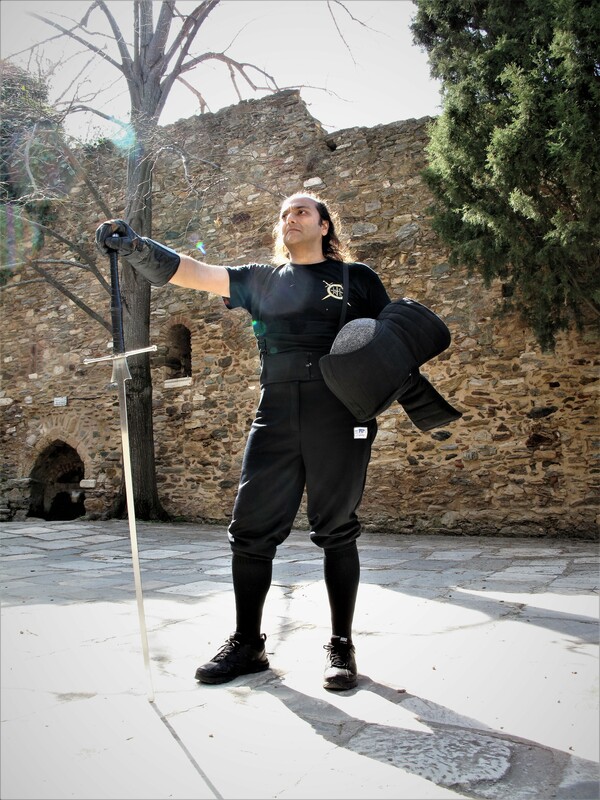 Many armatoloi served also in Ottoman army as mercenaries or bodyguards, so the martial arts that they used was a mixed martial art from many sources, something that also our ancestors did always back to the Byzantine period. The Byzantine soldiers choose what they fit better to their training when they met a foreign army (even if it was an ally or an enemy of the empire, for example from the Avars we took the art of saber and we made the paramirion, from the Mongols the horse archers, from the Persians the heavy cavalry, from the Normans the almond shape shield and etc). As everyone understands there is no way an untrained army to win an army that is the most advanced at those times. 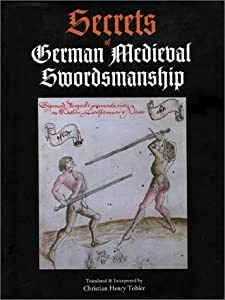 The professional soldiers such as the armatoloi and kleftes and also some clans of the Arvanites they trained every day on the art of sword, the marksmanship, the horsemanship and the wrestling. It was matter of life and death this training, off course most of them they have no time to write down military manuals because they fight and others they does not know to read or write. 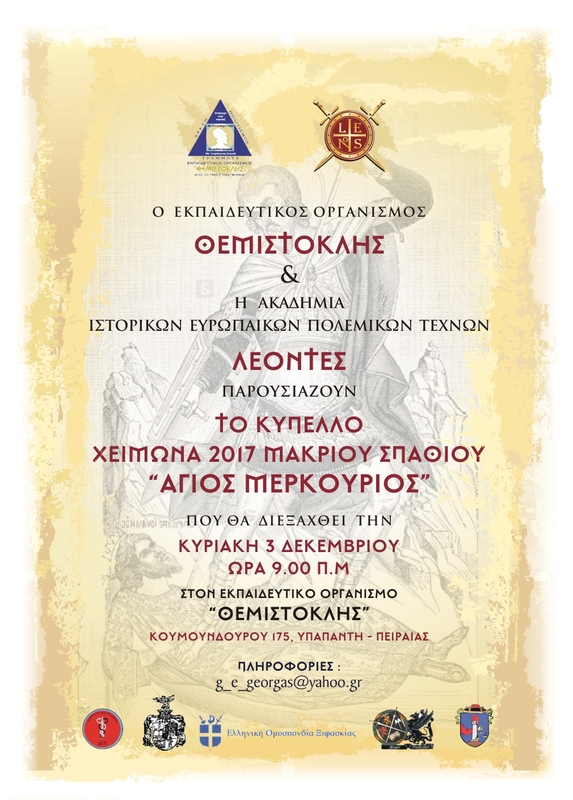 The first military manual in Greece written from Philip Muller who was the military instructor of the Royal military academy of the kingdom of Greece, many years after the rebellion. Αγαπητός Σ. Αγαπητός (1877). «Οι Ένδοξοι Έλληνες του 1821, ή Οι Πρωταγωνισταί της Ελλάδος». Τυπογραφείον Α. Σ. Αγαπητού, Εν Πάτραις. σσ. 208-216. 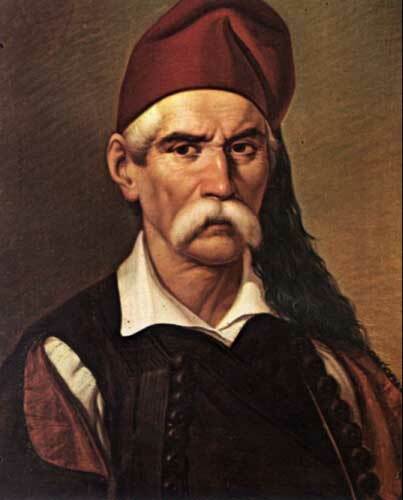 164 years before Nikitas Stamatelos (Nikitaras the Turkeater) passed away. A little tribute about this great swordman and hero of the liberation of Greece. Would you please stop to falsify Albanian history! All the persons you wrote about here were albanians (Far Shqiptare!). Otherwise explain why they all are wearing Albanian national costumes (Search for Suliotes – not everything has been falsified yet). Simple, as you use the Byzantine eagle in yur flag. All people in Balkans have more or less use clothes, weapons,language and customs.